How often would you like to go and do some sports, preferably fitness, but you have nowhere to leave your child. There are only a few centres have babysitting from 2 months onwards. We have written about Sipkova Family Fitness in Prague 5, now its time to cover the other end of Prague - Vinohrady. This fitness centre is quite ugly from the outside. But inside it’s big, efficient and most importantly they have a big Indoor Playground with BABYSITTING !!! Time to get fit Ladies. 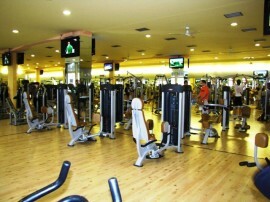 BBC (Beck Box Club) is a chain of Fitness and Solarium Centres around Prague. 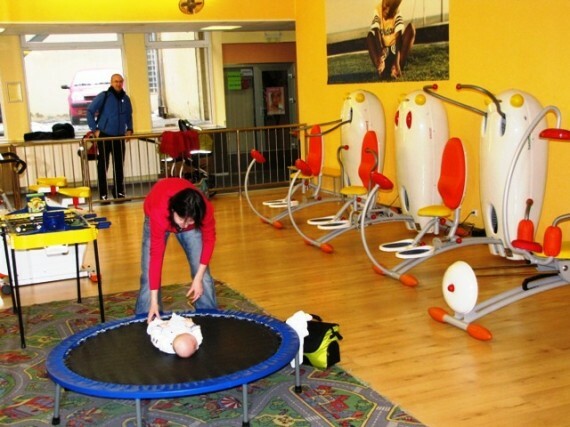 I don’t understand why they don’t mention the Indoor Playground on their web since I think its a great think to have and out of the 7 clubs that they own around Prague - this one in Vinohrady is the only BBC that has it. 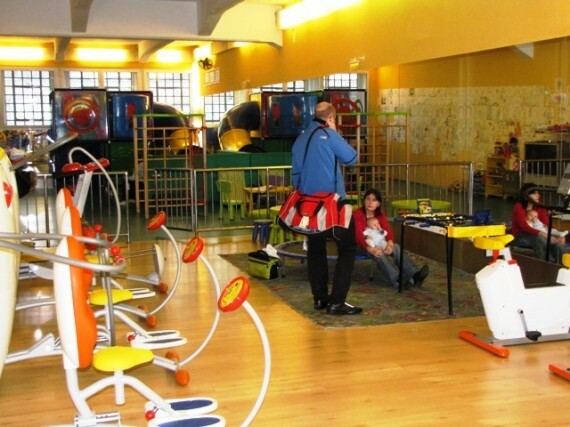 The Indoor Playground accepts Kids from 3 years for Babysitting and it is for free if you are a member. Kids 3 year and up will always be accepted. Younger kids can be babysat after agreement with the staff of the Indoor Playground. They strongly suggest to come in the morning hours. You will have a much higher chance that they will have the staff and resources available to take care of younger kids. Unfortunately they do not have a phone number where you can call and ask how many kids they have at that given moment. My experience is that they usually dont refuse a child under 3 in the morning hours. The best thing is to stop by and talk to them. I am sure if you become a regular they will even give you a phone number to check. How is their English - I don’t know. I am sure they speak some basic English but for the first time I would ask for an assistant in English. The Play Area is very nice and comparing to what you could expect - it is big. The front part is actually a little fitness area for the kids :-) which I have never seen before. They have a child size stepper, trampoline and other equipment. 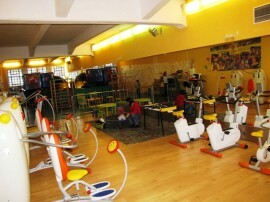 The second part of the playground is like any other indoor playground; toys, slide, Ball Pool, soft building blocks etc. 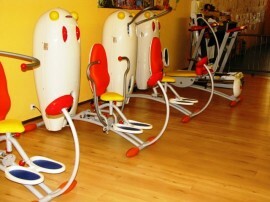 I am sure the kids would be just fine for 1 to 2 hours while you exercise. They would not reveal to me their price list. They have a company policy to show it to the client on arrival. I hope it isn’t so bad that when you see it you drop dead :-) Yet - from other sources I know they charge 400czk/single entry for the whole day. It’s good in case you want to try it out, otherwise it is damn expensive. In order to become a member you have to sign a contract for a minimum 1 year. If you sign a contract for 3 years it will cost you 490czk per month. The lower number of years, the higher monthly fee. It is right on the METRO stop ZELIVSKEHO and parking is a bit of a hassle. They do allow the members to park behind the Fitness building in the courtyard that belongs to the club. Just drive in through the gate. Parking for members is for free. 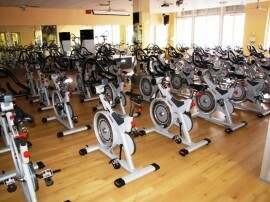 BBC is well known for it’s Solariums and you will find BBC Solariums without Gyms all around Prague. DIRECTIONS: Vinohradska is the main street of Prague 2 Vinohrady district. 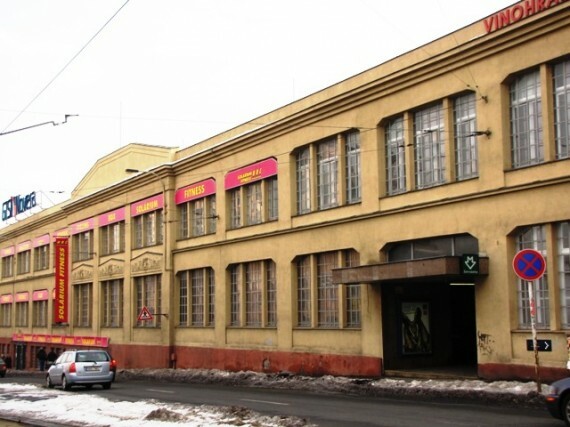 You will see the fitness centre in the Yellow Building right opposite the Don Giovanni Hotel (a big pink high rise) at the METRO stop ZELIVSKEHO, Green line A. By Tram: No. 11, 19, 26, 51 to Tram Stop ZELIVSKEHO.